As a child, I remember complaining to a teacher that a classmate kept calling me “black” in a teasing fashion. The teacher tried her best to handle the situation sensitively, but ultimately had to concede and say to me: “But you are black.” Feeling a bit foolish, I accepted this but was left with an overwhelming feeling of sadness that the colour of my skin was something that could be thrown at me as a negative, an insult and a handicap. Fast-forward 20 years and I now have my dream job. I am a working actor. I work in probably one of the most accepting, open-minded and liberal industries in the land. So why is there cause for me to complain about race within my utopian creative bubble? One thing we actors love is an in-joke. And there is no bigger in-joke among black actors – male or female – than constantly being mistaken for other black actors. But over the last few months, after repeatedly experiencing it first-hand, this joke has started to wear thin. I no longer find it funny. It is not a joke; it is not something to laugh at. It is lazy, it is insulting and, when you understand the root of it, you will see that it is ultimately racist. 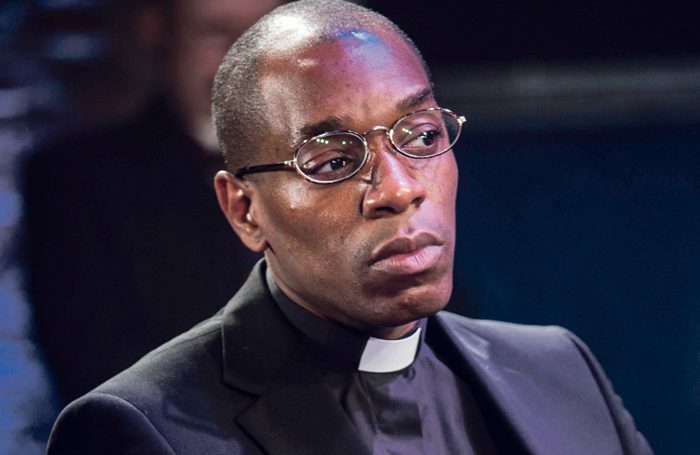 I have had a real taste of this unconscious bias during the run of my most recent show Saint Joan at the Donmar Warehouse. 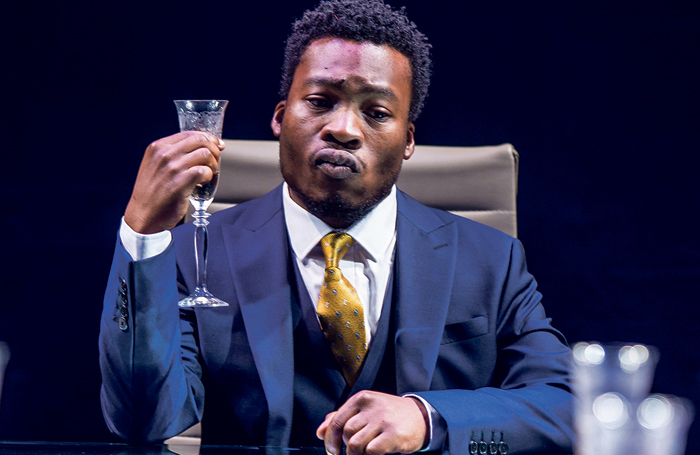 On more than one occasion I was mistaken for Fisayo Akinade, the only other black actor in the production. He is an actor who is significantly shorter than me, has a lot more hair than me and whom I spend a lot of Bernard Shaw’s classic standing next to. We do not look at all alike. The lowlights of my recent experiences include an audience member making a comment on the other actor’s character to me thinking I was him, an autograph hunter presenting me with a DVD cover of a film the other actor was in to sign and a very famous actor telling me that I was quite possibly the best Dauphin they had ever seen. You guessed it – that was not the name of my character. My recent experiences are not even restricted to shows I have performed in. On a rare night off from eight shows a week I went to the National Theatre to see its production of Amadeus. While sipping a glass of wine in the bar afterwards, I had to calm down a very enthusiastic producer who was congratulating me on my Salieri. 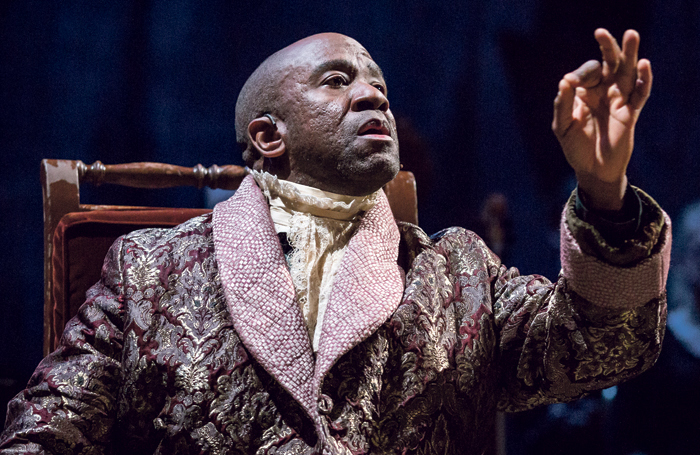 Of course, the mighty Lucian Msamati had been giving his Salieri on stage, while I was merely an observer. As I began to discuss this with my contemporaries of colour I began to understand how widespread this problem is. One black actor I spoke to went to watch a show and was congratulated on the performance of an actor of mixed heritage. Another found themselves at an opening-night party and was hugged and thanked for “all his hard work” by the show’s director. That actor was not even in the production. Outside the world of those I know, I am presented with endless examples of this laziness: ITV News accidentally inserting a clip of Ainsley Harriott dancing in a piece about Lenny Henry receiving his knighthood, Samuel L Jackson scolding a CNN reporter for confusing him with Laurence Fishburne and, most recently, Burberry tweeting about Dev Patel wearing one of its suits to the BAFTAs and accidentally inserting a picture of Riz Ahmed. Don’t get me wrong: I know that we as humans mix people up all the time. I’m sure you’ve been at a family wedding, having had one too many glasses of champagne and confused a white aunt with a white second cousin. But these are sporadic and occasional events. I have experienced this four times in the past month. I have experienced it on and off my whole adult life. At no point during the run of Saint Joan did any of the 11 white male actors get mistaken for each other. My being mistaken for Fisayo or Lucian is quite simply an example of white privilege at its most subtle. It reminds me of the negative feelings I was left with about my race as a child and it highlights some white people’s ingrained attitudes towards people of colour. After the famous actor’s faux pas at Saint Joan and the encounter with the producer at the National, I challenged them and both were rightly mortified. Then I explained that this happens all the time to black actors and that it is really offensive. It’s as if when people watch us perform they lump us all together, that we are interchangeable and that our individual identities are not important. This, for me, is a very small example of a much bigger problem. There is a school of thought that this could be explained by the ‘Other-Race Effect’. On a very basic level, this means that we have trouble distinguishing people of races we are not used to seeing. But I do not buy this argument. This is not the 1960s and we have not just disembarked the banana boat. People of colour have been a part of British culture for a long time now and we no longer, as we did when I was a child, thank God and give a round of applause when a black person appears on our TV screens. We are an integral part of society. We are your neighbours, your doctors, your teachers and some of your actors. As upsetting as I have found all this recently, my anger subsides and I get on with my day. But then I start to wonder whether this might be having an effect on people’s lives. With all this lumping of black people together, how many black people are not getting the equal chance they deserve because of unconscious bias? How many black children are unfairly stereotyped at school because of a negative assumption or prejudice? How many black people are languishing in prison after being wrongly identified for a crime they did not commit? 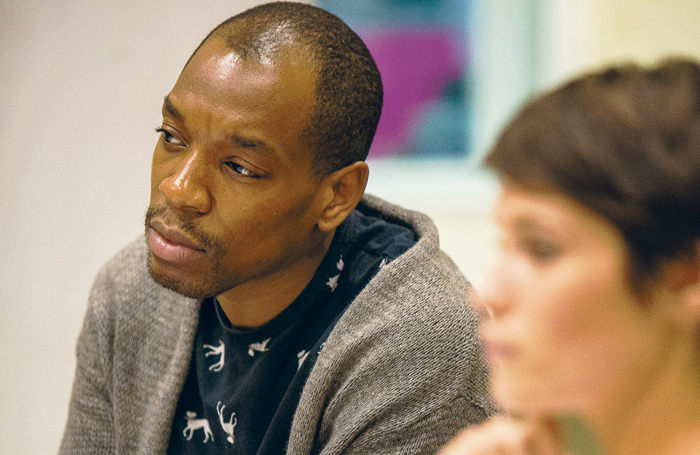 Syrus Lowe and Gemma Arterton in rehearsals for Saint Joan. While writing this article, I came across an opinion piece by Femi Nylander, an Oxford graduate whose CCTV picture was circulated around the college warning staff to be vigilant. Why? Because he was black and had dreadlocks. Like Nylander, I want to raise awareness and put a stop to this laziness, this ignorance and this potentially dangerous behaviour. As I said, the previously mentioned producer and actor will not forget the experience with me because I challenged them. Mutual friends of both have told me that this experience has stayed with them and that they were incredibly upset and embarrassed. But, we people of colour do not always feel confident enough to challenge these situations, and instead choose to either ignore it or make a joke of it. Ask yourself an honest question: have you done this in the past? If you have, then think about why you don’t do this so frequently with white people. Think about the things you use to distinguish white people. Skin tone, hair length, body shape, sound of voice (to name but a few) and then just consciously do this with black people. It’s that easy. Like all things, practice makes perfect and the more you do this consciously, the more unconscious it will become; the closer you will get to never doing it again. To not lumping all black people together but seeing them as individuals, unique and worthy of distinction. To avoiding a situation that leaves you feeling embarrassed and leaves me feeling hurt, devalued and ultimately unworthy of distinction.